Greetings from the Secretariat of the scientific conference with international participation "90 years Institute of Agriculture - Kyustendil " on the theme: "Science and Agriculture: Global and Regional Challenges", in Kyustendil, Bulgaria on September 27-28, 2018. We would like to kindly inform you that abstract submission deadline is extended up to July 15, 2019. We look forward to meeting you in Kyustendil, Bulgaria! 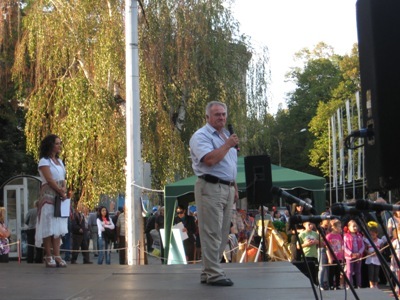 On 05 and 06.10.2012 it was held the Festival of Fertility in the center of town Kyustendil. 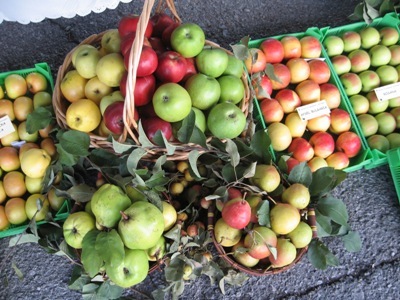 It is a legacy of the First National Horticultural contest -1896 and is a unique in the country. The Festival of fertility is held for two days, organized by the Municipality of Kyustendil and Institute of Agriculture - Kyustendil, which present the abundance and fertility of Kyustendil region. At the traditional festival with their own exhibition stands took part numerous community centers, organizations, farmers and craftsmen from the region of Kyustendil. A guest of the event was the main Scientific Secretary of SAA-Sofia prof. V. Bachvarov. The rich exhibition, arranged with beauty and aesthetics stands and good weather prompted many residents and guests to visit the festival. 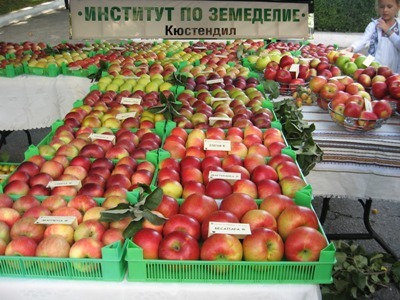 Institute of Agriculture - Kyustendil presented an exhibition of 123 apple cultivars and hybrids. Prof. Dimitar Domozetov made a brief description and demonstration of 10 new and perspective apple cultivars and hybrids from the platform in front of the municipality. Тhere was a great interest to our exhibition and presentation. The visitors asked questions about the new cultivars created in the Institute and for making the right technological decisions in apple growing. 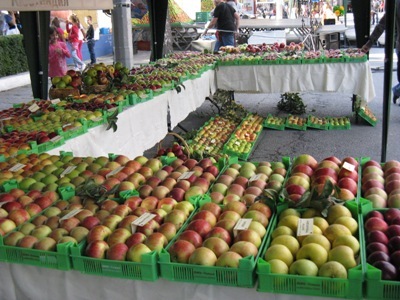 The program of the festival included a number of interesting competitions for the larger fruit, the most attractive fruit, and the best arranged stands. Traditionally a committee Chairman is the director of the Institute Prof. D. Domozetov. The winners in the different competitions received cash prizes provided by the Municipality of Kyustendil.